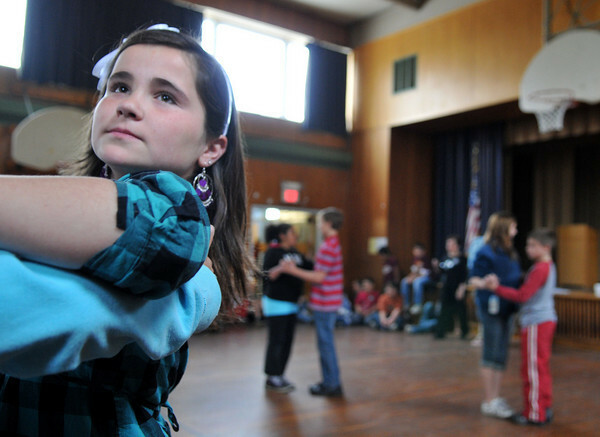 Gloucester: Alexis Raymond 11, is focused on the start of the Tango with partner Austin Church,out of frame at the Beeman School Wednesday morning. The Students pratice for the up coming Mad Hop Ball lead by Miss Tina's School of Dance. Desi Smith Photo/Gloucester Daily Times. April 28,2010.